The devotional India with the holy river Ganges is the main attraction of the travelers to North India. The tour is arranged day wise that is in the 1st day arrival to Delhi, the next day is allotted for the trip to Delhi to Amritsar, the 3rd day will be in Amritsar, day 4 is allotted for the trip to Dharamshala, the next day trip to Dharamshala to Pathankot, Delhi will be arranged, day 7 and 8 are reserved for Varanasi, after that on day 9 the expedition to Khajuraho from Varanasi is arranged, day 10 will be at Khajuraho, day 11 and 12 are for the drive from Khajuraho to Jhansi Gwalior and Agra. Day 13 will be at Agra, day 14 is for the trip to Delhi from Agra and by day 15 the tour will be wound up. Arrive at Delhi International Airport, Meet and Greet, transfer to the Hotel. After breakfast we drive to Dharamshala/Mcleodganj. Day-7. Arrive Delhi-Varanasi Flight DEP: 0930/ARR 1045; Arrive Delhi at 0545Hrs. We arrive very early this morning, we get time to freshen up and have breakfast. After Breakfast transfer to Airport to catch flight to Varanasi. Varanasi is bustling City situated on the Banks of the river Ganges. It’s famous for its Tempples and Ghats. 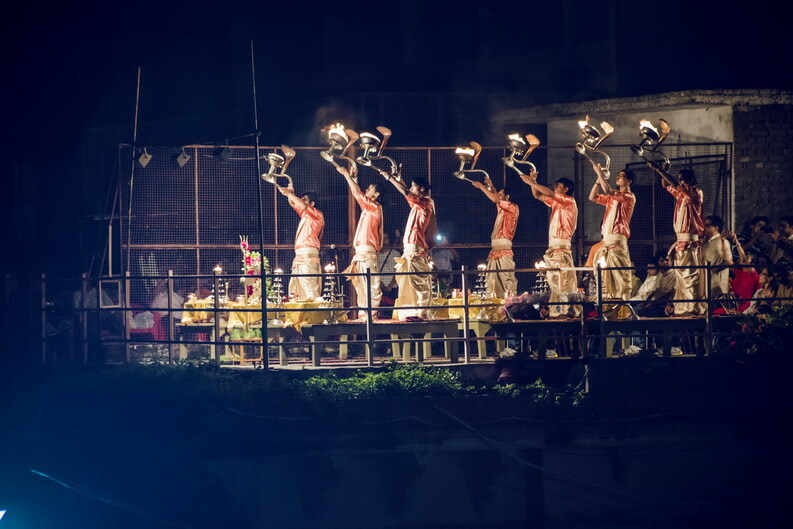 Varanasi is the Vatican of East and holds the same importance in the Hinduism.Its also called Kashi a mythological tem and many Hindus believed that a visit to this place is a must once in their lifetime and have a dip in the Holy river of Ganges which will wash all their sins. A lot of Hindu monasteries are locted across the city and priest come here to study and gain knowledge by meditation and teaching; later join respective temples in their own Cities. The City is also famous for Silk Saris. Early morning we Take a Boat ride on the Ganges, then walk to the Vishwanath Temple one of the Famous Temple dedicated to the Lord Shiva. A lot of Pilgrims throng the premises just to get a glimpse of the shrine. Later come back to Hotel for Breakfast. Khajuraho is famous for its temple structures and most them have been declared “UNESCO –World Heritage Monuments”. These temples depict the generous and artistic creativity towards the kings of Chandela dynasty having ruled in the central India around 1000 AD. Out of the total 85 temples only 22 have survived till now and are divided as Eastern , Western and Southern Group of temples. Orcha is a small town of Palace complex on the Banks of the Betwa River, which used to be the occupied the Kings of Bundela Rajput Dynasty and was founded in some 1501 AD. Agra located on the banks of river Yamuna is famous for the world renowned Taj Mahal and also the Leather industry. The modern Agra was founded by King Sikander Lodhi in the 16th Century and later became the seat of the Mughal Empire and thus the city came into prominence and it was Shahjehan who built the Memoir of Love for his beloved wife Mumtaz. monuments, medical expenses, airport departure tax etc. • Rates mentioned are per person on twin sharing basis. • All confirmations are subject to availability at the time of booking. is liable to change and payable as advised by us. • Rates/itineraries/payment terms are subject to change without any prior notice. • For Ac Vehicle A/c will work only in the plains and will be switched-off during hill drives. service which is not avail by guest once in tour. services and supplement charges occur. 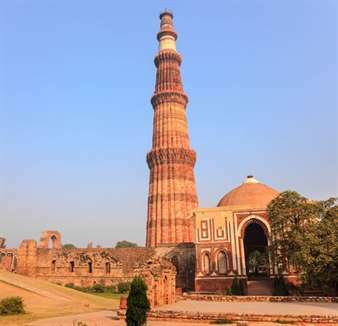 Delhi is the capital city of India, which is one of the fastest growing economic nations of the world. You can visit various monuments, palaces, and political buildings here. Tourist will never miss upon the opportunity to visit the great and historical Red Fort that was constructed in the year 1639AD. For art lovers, Lotus temple is one of the best places to visit. They can explore the beautifully crafted artistic buildings, something that is worth watching. Qutab Minar, ISKON temple, Humayun’s Tomb, India Gate, and Jama Mashid are some of the places that reveal the true beauty of the country. The city is equipped with fast and quick transportations. The city experiences humid subtropical climate, where the summer are long and extreme hot. 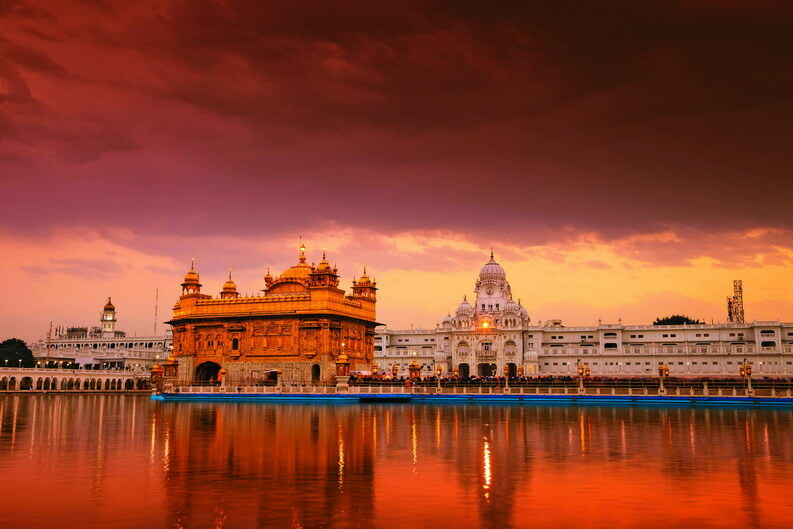 Amritsar, quite popularly known for the historical Golden Temple is located in Punjab, India. It is the scared place for the Sikh Community. The temple was founded by the 4th Sikh Guru Ramdaas Ji. The other places that are worth visiting here is Jallianwala Bagh, Mata Temple, Maharaja Ranjit Singh’s palace, and Ram tirth. The tourist can easily reach this place through flight, roadways, and buses. The climate here is extremely humid, during summer and winter is extremely cold. Pathankot is a beautiful and calm city that is located in Punjab, India. This exotic place is situated on the foot-hills of Dalhousie and Kangra. It is a perfect place for vacationers, who wish to spend quality time away from the crowded city. No one would want to miss the opportunity to visit the beautiful Shahpurkandi fort that was constructed by Jaspal Singh. This place is well known for its historical temples like Mukesran da mela, Kathgarh, Shani shulla, and Nurpur fort. It is well connected through effective roadways, though you can also reach it through flight and roadways. Just like any other North Indian country this place experiences humid climate during summer and winter is too cold. Plan your trip and enjoy the magnificent beauty of Agra. The historical city of Agra is located on the banks of the famous river Yamuna. Agra is the majestic city, situated in the rich cultural State of Uttar Pradesh. It was the former capital of Hindustan, the earlier name of the country. The natural and historical monuments of the city, welcomes its visitors from the world over. 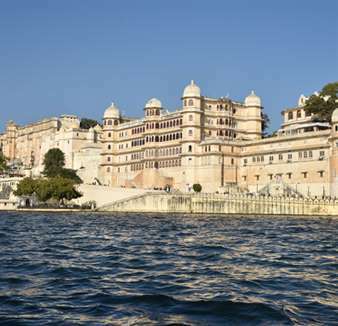 The city was originally founded by a great Sikrawar Rajput King, Raja Badal Singh in the year 1475. 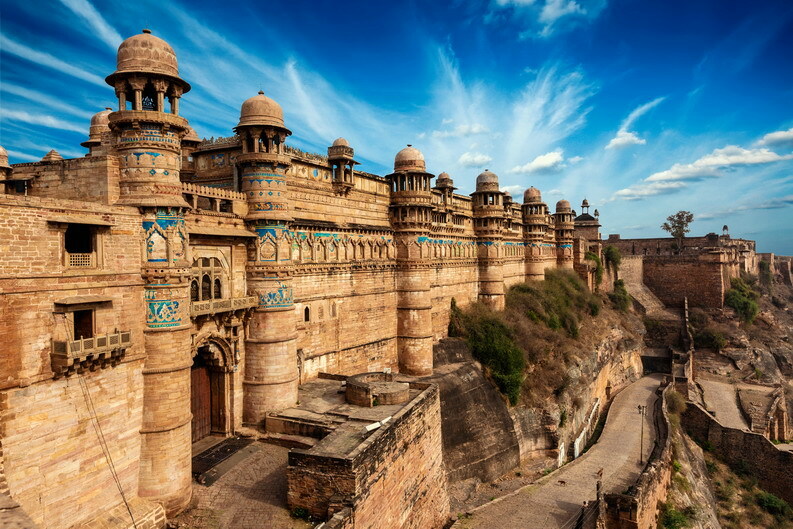 You can enjoy viewing the monumental Badalgarh fort that reveals the richness of the ruler and the city. Who wouldn’t want to get a glimpse of the most beautiful love eternal monument, the famous Taj Mahal? The other places that are worth visiting here are Fatehpur Sikri, Akbar’s tomb, Ram Bagh, Mughal Heritage Walk, Mankameshwar temple, and Guru ka Tal. The climate here is extreme, with winter dipping up to 3 degree Celsius and summer high up to 41 degree. Get the best possible travel plan from a chosen few (not more than 5) IATO approved Tour operators. Hundreds of tour operators are associated with IATO with many operating in the same area/state. Therefore, we maintain an automated distribution system that helps us to find the most suitable tour operators based on your search criteria and we will make sure that your details are sent to a chosen few only. You are requested to provide complete details and write clear instructions about your tour plan.